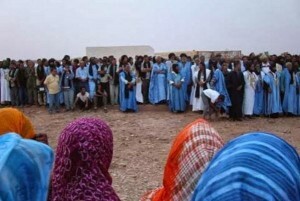 Two weeks after the meeting of the Sahrawi Sheikhs opposed to the Polisario Front, the Tindouf camps are still stirred by the echoes of these tribal leaders’ historic decision to proclaim their support to the autonomy plan for the Sahara proposed by Morocco. 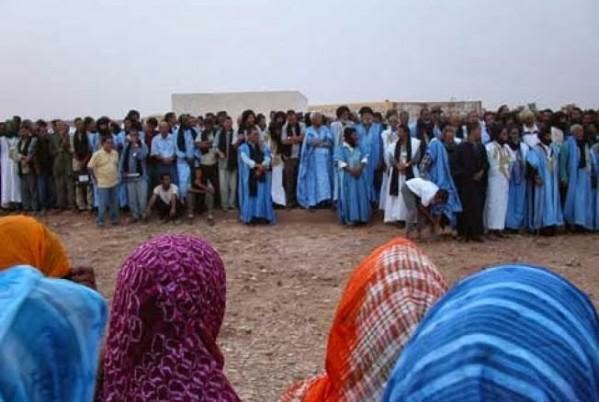 The stature of the participants as well as the firmness of the statement that was released at the end of the meeting was welcomed by the Sahrawis throughout the Tindouf camps. The outcome of the June 17 meeting was all the more welcome as it was convened at the place of Sheikh Saleh Ould Mohamed Cheikh, one of the figures most respected by the Sahrawis. The message sent by the meeting was a blow for the Polisario leader. Actually, Sheikh Saleh Ould Mohamed Cheikh belongs to the Rguibate tribe, the largest and most influential tribe in the camps. The blow is particularly hard for Mohamed Abdelaziz as he himself belongs to the same tribe and as this disavowal translates the extent of the opposition he is subject to in his own clan. But it is not the only setback suffered by Mohamed Abdelaziz. The contestant Sheikhs went further in their defiance when they asked King Mohammed VI to designate as coordinator with the Sahrawis of Tindouf, Omar Hadrami, one of Mohamed Abdelaziz’s irreconcilable opponents. The two men were among the founders of the Polisario in the 70s, before their paths led them off in different directions. While Mohamed Abdelaziz was designated by Algeria as leader of the Sahrawi separatist front, Omar Hadrami was commissioned to oversee security in the camps. Later on, Hadrami, who was opposed to the Polisario’s allegiance to the Algerian military intelligence services (DRS,) ended up throwing in the towel and returned to Morocco in 1989. Today, 26 years after he left the Tindouf camps, Omar Hadrami is still enjoying the same popularity among the Sahrawis. That’s what explains the sheikhs’ proposal to entrust to Hadrami the coordination task between Morocco and the Tindouf camps population.